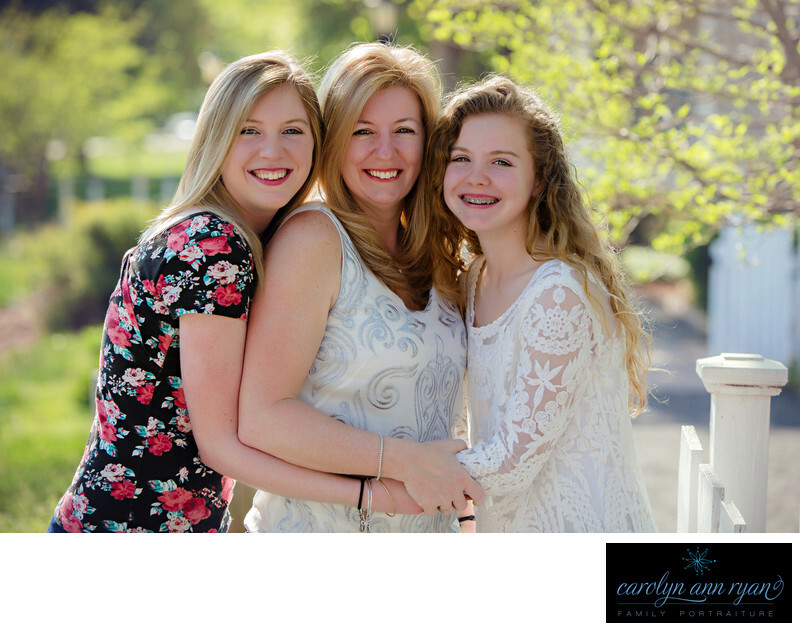 While most of my family portrait session clients are younger, it is still always wonderful to update your family portraits as the children get older and they are in high school and college. Not only is it easier at this age, as the children are typically going to cooperate more during the portrait session, but they will also be just as excited to have portraits with their parents, as the parents are excited to have photographs with their children. This was such a treasured portrait for these three beautiful ladies. It was one of Mom's favorites from the day and a photograph like this can make a very special treat for a Mom for Mother's Day or her birthday. Mom had wanted to do a session with me for over two years, but scheduling was always difficult because of the busy schedules of the girls with school and their activities. But we were finally able to make the session work during Spring Break this past year. Thankfully the weather cooperated and it was a beautiful day and the location she chose was perfect and stunning. I love the new light green leaves on the trees that sparkle in the sunshine giving the perfect hint of Spring. And I love how Mom is surrounded by her girls in a beautiful embrace. These photographs make beautiful wall displays especially when paired with a print of Dad and girls, but can also make a beautiful image to display on a Mom's nightstand so she can see it when she climbs into bed each evening.Keywords: Charlotte NC (180), Family (171), girls (165), Mother and daughter (9), Mother and kids (6), Spring (48), teen (3), tween (81), white (69). 1/320; f/4.0; ISO 100; 115.0 mm.